When I use text only VMs I usually find more convenient to just work from terminal. After a bit of research I found the perfect solution for me. Serial console however can't dynamically adjust to your terminal resolution. Luckily I found a solution on StackExchange. 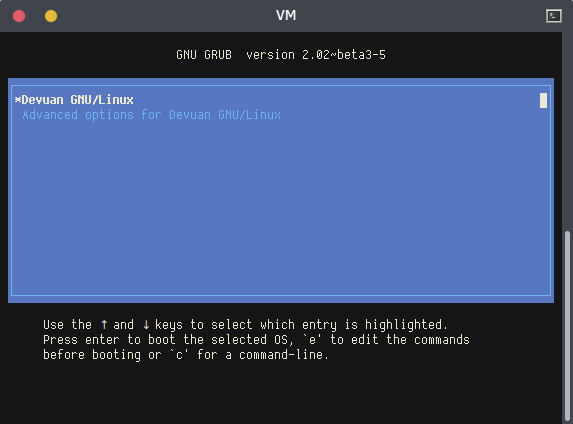 After setting up your guest you can now use your VM directly from your terminal emulator, just append -nographic to your QEMU options. After setting them manually for years, I finally decided to quickly create a simple script to save me the trouble. I conveniently associated this script to the function keys Fn+F9 and Fn+F10 (those with the magnifying glass) and I added a visual notification with libnotify. If you like it this way, you can stop reading now. Otherwise I added some other combinations you might be more comfortable with. You can try them anytime launching it as root. If you want to change the key associations I set for a certain key, all you have to do is change the option in the last line of the correct event file in /etc/acpi/events. Of course it can still be combined with one of the other options. Thus the Ubuntu logo at boot will be at the correct resolution and you will have your TTYs back.